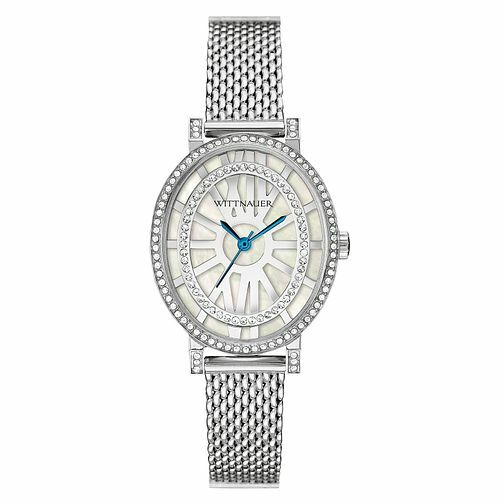 Featuring an elegantly shaped oval dial, this Lucy watch is dripping in crystals which really illuminate the piece. Roman numerals can be seen at the 12 and 6 hour markers which accentuate the classical nature of this watch. The intricate links in the bracelet make it fluid and extremely comfortable to wear.